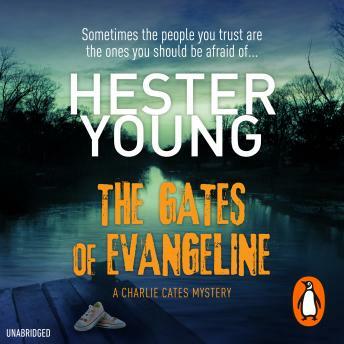 For fans of Tana French and Gillian Flynn, THE GATES OF EVANGELINE is the addictive first book in a fantastic new crime series, that will have you guessing until the very end. When grieving mother and New York journalist Charlie Cates begins to experience vivid dreams about children after her only son passes away, she's sure that she's lost her mind. Yet she soon realizes these are not the hallucinations of a bereaved mother. They are messages and warnings that will help Charlie and the children she sees-if she can make sense of them. The disturbing images lead her from her home in suburban New York City to small-town Louisiana, where she takes a commission to write a true-crime book based on the case of Gabriel Deveau, the young heir to a wealthy and infamous Southern family, whose kidnapping thirty years ago has never been solved. There she meets the Deveau family, none of whom are telling the full truth about the night Gabriel disappeared. And as she uncovers long-buried secrets of love, money, betrayal, and murder, the facts begin to implicate those she most wants to trust-and her visions reveal an evil closer than she could have imagined.